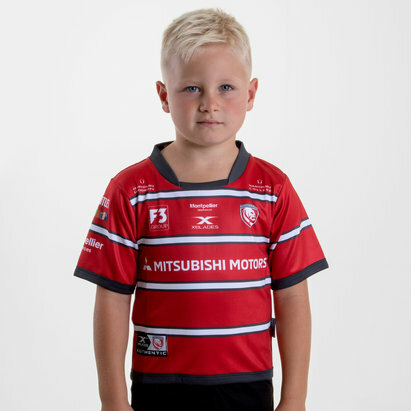 Whether it's at the Kingsholm Stadium or out and about show you're a fan of the West Country club in this Gloucester 18/19 Alternate S/S Replica Rugby Shirt from X Blades. 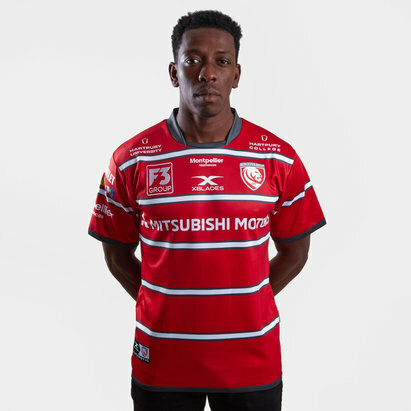 The Cherry and White's, Gloucester Rugby, are a Gallagher Premiership team who reached the final of the European Rugby Challange Cup in the 17/18 season and look to compete further with the addition of new match and training attire for 18/19. This shirt is made from XPF ClimaxPlus meaning it has lightweight performance fabric with moisture managing properties. 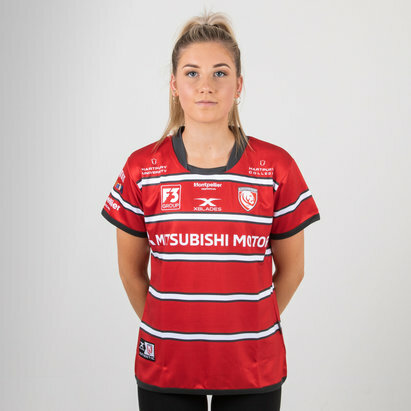 The most notable aspect of new kit is a radically redesigned club logo that will adorn the famous cherry and white jersey from now on. The new crest is a modern design, but incorporates several aspects of the club’s history – the lion is a holdover from previous Gloucester badges and throws back to the city’s coat of arms, while the red and white stripes of the lion’s mane are designed to reflect the cherry and white hoops of Gloucester’s classic jersey. The shield of the badge is designed as a nod to the history of the city of Gloucester, while the ‘1873’ is a nod to the club’s long and prestigious history. 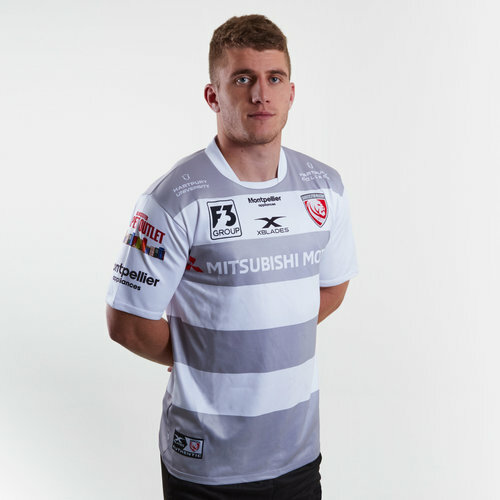 The new home shirt is a modern yet classic take on the traditional hooped Gloucester jersey that’s reminiscent of their 2002/3 shirt– abandoning the classic hoops that XBlades have opted for in recent seasons. The 2018/19 home shirt is primarily white accented with grey hoops. It’s capped off with a white collar and sleeve cuffs. The club badge is on the left side of the shirt with the X Blades logo in the middle under the neck. 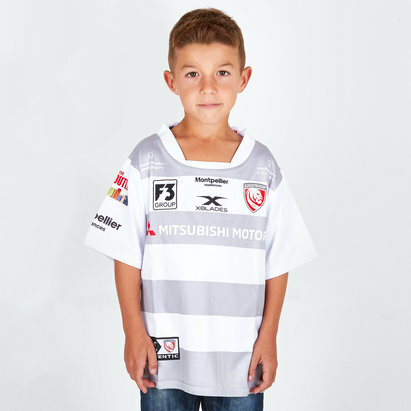 The club's sponsor - Mitsubishi Motors - is printed across the middle.